Water retention can be very inconvenient and cause discomfort. A diet rich in salt, kidney failure or even a dilation of blood vessels due to heat can be the cause. 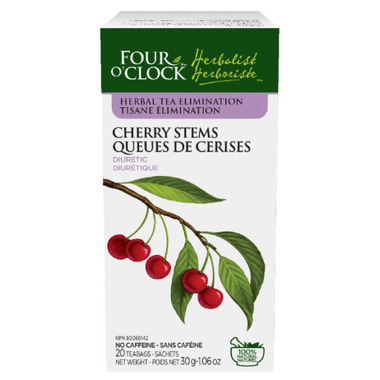 Cherry stems are therefore the ideal choice as a herbal tea. Indeed, its diuretic properties make it possible to reabsorb the lost water and facilitate the elimination of fluid. You will feel a deflation effect that sometimes occurs with water retention. This herbal tea can be enjoyed throughout the day. MEDICINAL INGREDIENT: Each bag contains: Cherry peduncles (Prunus Cerasus) 1500 mg.